Virtually anyone can learn to be aware that they are dreaming (Lucid Dreaming). How long it takes for you to learn Lucid Dreaming depends on how good your dream recall is, how motivated you are, what techniques you are using, and how many hours you sleep each night. Hopefully the techniques, supplements and devices discussed in these articles will help you developed abilities so that you can have your first Lucid Dreaming within a few nights. Dreams are mostly reflected images of your thoughts during your day. 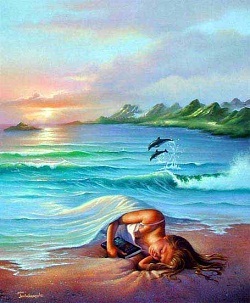 Therefore, thinking of Dreams throughout the day, asking yourself if you are Dreaming and wanting to have Lucid Dreams during the time you are awake may be helpful. The wishes could reflect themselves in your dreams. Remaining conscious until you start dreaming is one way. Recognizing cues in your dream that reminds you that it is a dream is also helpful. There are also drugs and herbs that cause you to be more consciously aware, and consequently also increase the opportunity for a Lucid Dream as well as electronic devices used to help induce Lucid Dreaming. Over the recent years the study of dreams and in particularly Lucid Dreaming has lead to the development of several techniques to achieve a lucid dreaming state intentionally. Basically there are four main factors that influence the ability to Lucid Dream, dream recall, dream obstacles, reality testing, and the technique used to induce Lucid Dreaming. Due to the amount of information I am going to break these factors down into several smaller articles.